Are you planning an outdoor wedding in Saratoga Springs? Dreaming of a wedding in a natural setting? An outdoor ceremony can be one of the most beautiful ways to have your wedding ceremony. But, how do you make the event secure for your guests? It’s quite simple; A tent! Now I’m sure some question how nice tented weddings in Saratoga can be. But take a look at this photo. With a little decoration and a little advance planning, you can set up a beautiful wedding tent which is both safe and comfortable for your guests. And provides you a critical backup in case the weather is less than ideal. Worried about how your wedding photos will look if you have your reception in a tent? If you do a little decorating, and you work with an agile and flexible photographer you will end up with some great images. Just study this photo from a tented wedding. With my lighting and my years of working as a different style of wedding photographer in Saratoga, I saw the opportunity for a great photo. 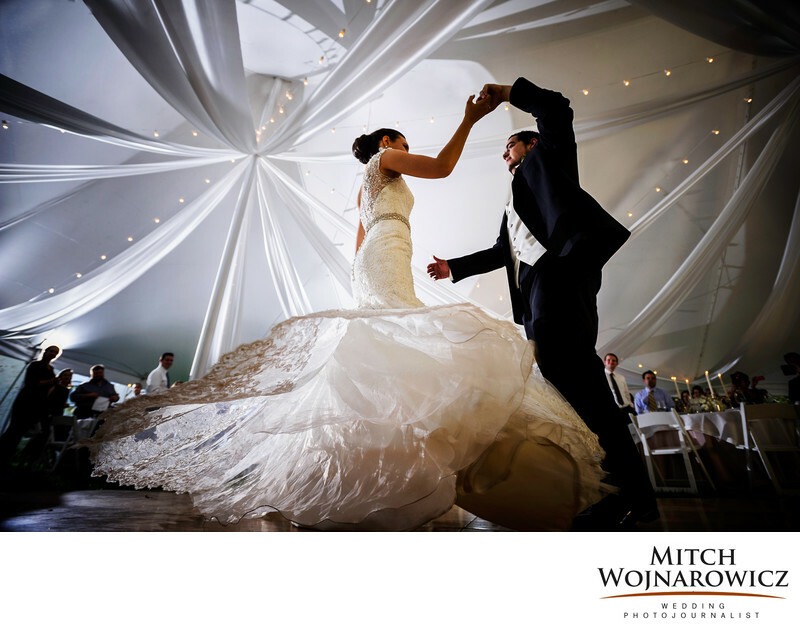 This planning, done in advance of the first dance, allowed me to visualize a great image, then work to make it happen. Want To See More Great Saratoga Wedding Photos? Well, dig around on my web site and blog some more! And get in touch with This Link Today so we can arrange a time to speak about your Saratoga outdoor wedding!